HOEPLER wines, selected for the two most famous Viennese Balls! The 2016 Viennese ball season is well under way in Vienna and Hoepler wines have been selected by two of the most predigious balls; The Vienna Opera Ball; and the Technical Cercle - the ball for industry and engineering. Guests from all over the world will be able to enjoy HOEPLER Blaufränkisch Leithaberg DAC at these exclusive events. Once a year, the Vienna State Opera is transformed into the most festive and most famous ballroom in the world. The Ball combines the Viennese lifestyle with international allure. The opening is a dazzling festival and artists from all over the world take part. It begins with the legendary entrance of the young ladies's and gentlemen’s committee into the elegantly appointed ballroom. The State Opera on the Ring is exquisitly decorated and filled with international guests from the worlds of culture, industry, science and sports. 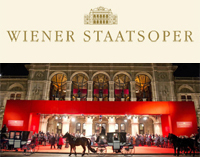 It will take place on February 4, at the Wiener Staatsoper, 1010 Vienna. The Ball of Industry and Engineering is another very popular Viennese Ball. It takes place in the Musik Verein - a concert hall most famous for holding the legendary New Year's Day concert. It is one of the most world's beautiful concert halls and and is a striking building located on Vienna's famous Ringstrasse. It will take place on January 23rd, 2016 at the Musikverein, 1010 Vienna. We are proud that that the quality of our wine is being recognised and that HOEPLER Blaufränkisch 2012 Leithaberg DAC will be served at these famous events.